Yesterday I had a productive morning while Niblet was at nursery. I’m normally busy trying to tidy up the house or sort out my endless stuff, but my mum had given us a bag of green tomatoes that were slowly going rotten and bought us some cooking apples (just because!). 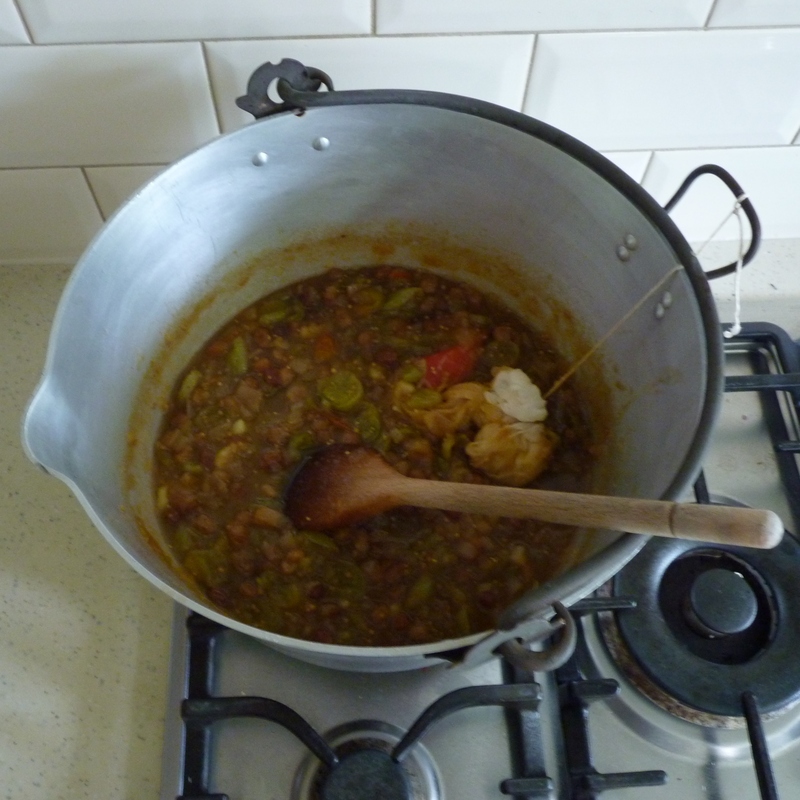 So, green tomato chutney time it was!! 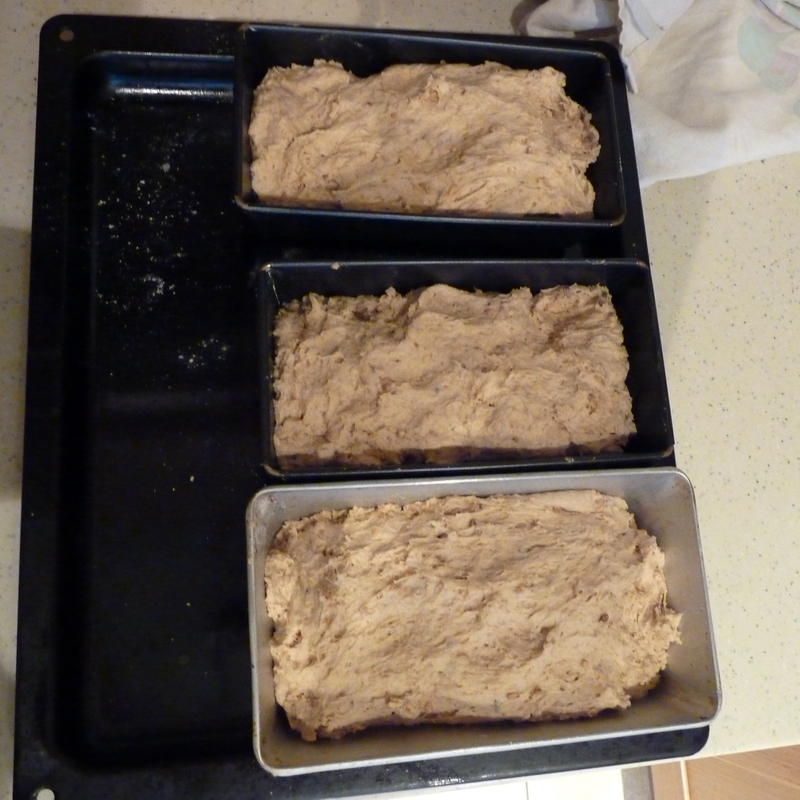 and while I was in the baking mood, some bread so we don’t have to buy any more this week. 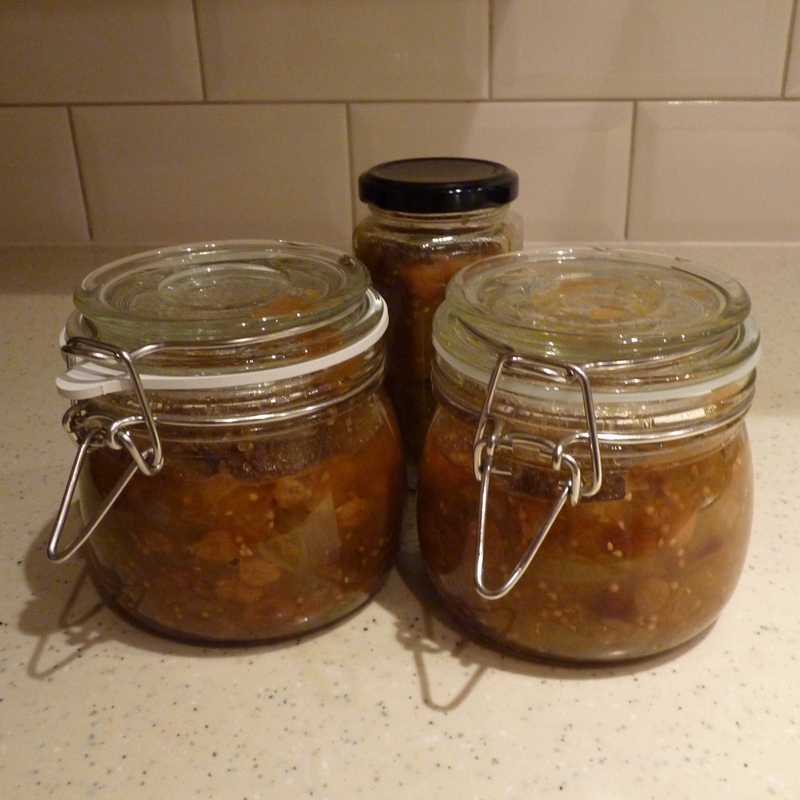 I got my green tomato chutney recipe from Sarah Raven’s Garden Cookbook, which I have mentioned before. I did have to go out and get more wine vinegar and mustard seeds to make it and am still not sure whether it will be ok in 2 months time, which is the earliest eating date. 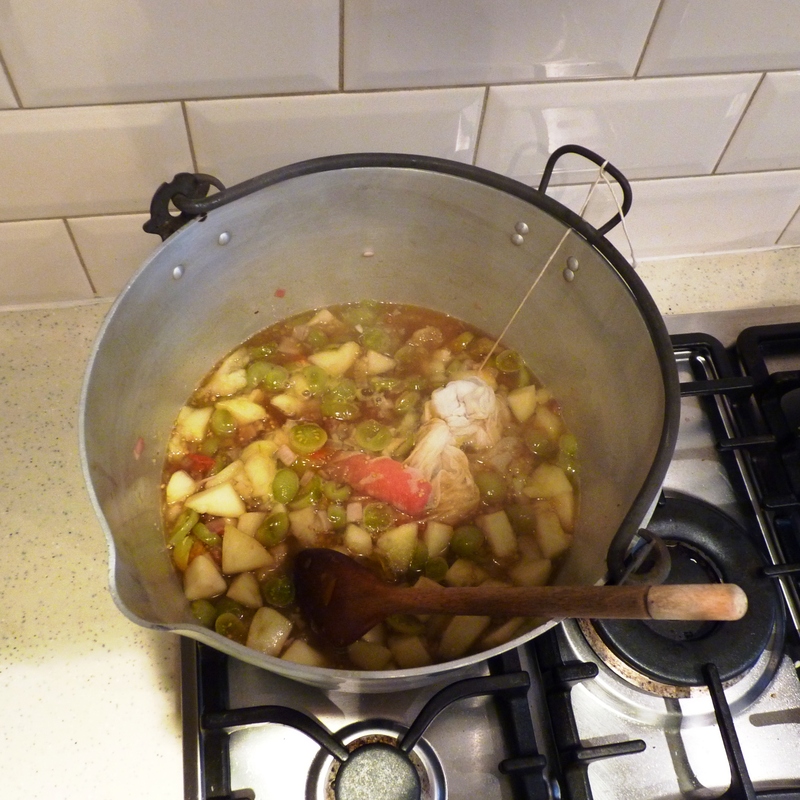 And the rest of the apples got stewed up for Niblet’s dessert for last night and tonight. 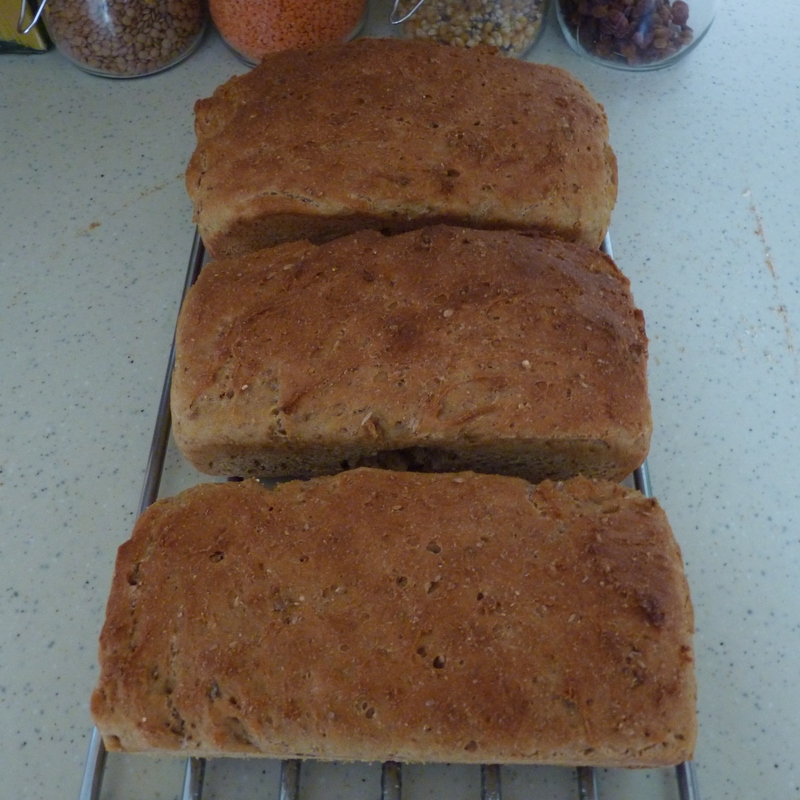 The bread was made from flour I brought back from our last trip to the out-laws. Organic flour with a sell by of next March, going for 99p a bag in Waitrose. I brought 6 kilos home!! Who wouldn’t??? 3 posts in a week – I think I need some time off!!! This entry was posted in baking and tagged bread, chutney. Bookmark the permalink.